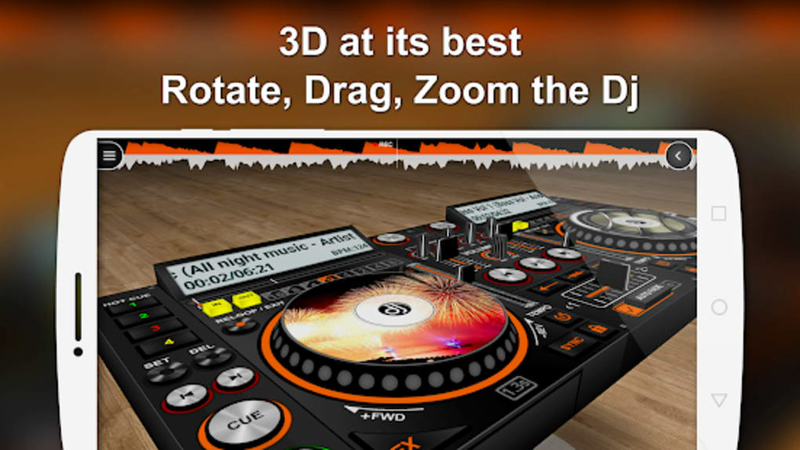 DiscDj 3D Music Player - 3D Dj Music Mixer Studio is a multimedia application created by GameG. The application allows mixing of saved music from mobile devices. It has a 3D interface of a DJ mixer instrument to make the experience more authentic. DiscDj 3D Music Player - 3D Dj Music Mixer Studio features a replica of a real-world DJ mixer instrument. Actual DJ mixer instruments cost a lot and only a few can play them. This application grants the need to create impressive mixes for those who can’t have a mixer instrument. It has a 3D interface floating virtually compared to others that only have a 2D top view. Movement across the interface is made more convenient with scrolling for different viewing angles. Users can lock and reset the original position of the DJ mixer instrument in an optimal orientation. This application can be used for practicing on remixing, as well as perform DJ mixing in parties. Users can continuously shift between queued songs from one turntable to the next one, at the same time, the songs still play just like a regular music player. 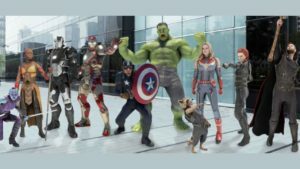 There are mixing buttons in the middle of the interface. It is recommended to have a large screen for more precision over the buttons. The application provides album art for the disks being played. 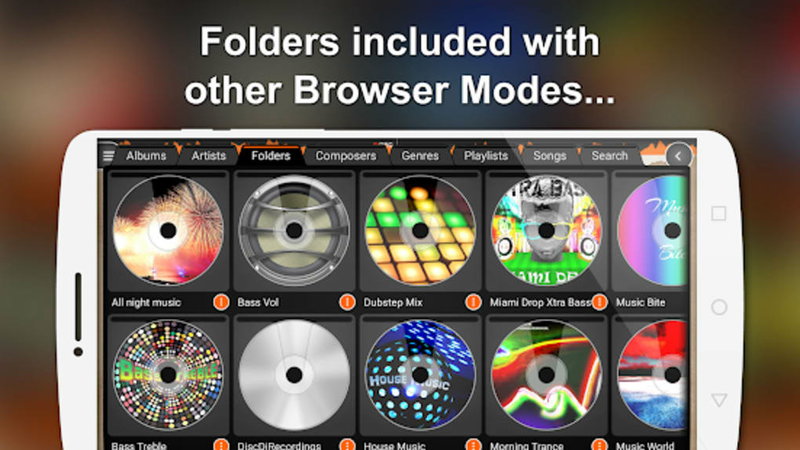 Users can find their own songs with the advance browsing feature. 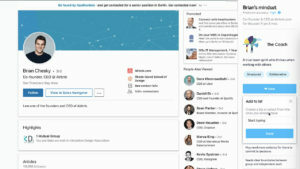 They can use parameters like the album title, artist name, folder location, composer name, song genre, playlist and more. The controls on both turntables have the basic and important functions such as play, pause, previous and next. 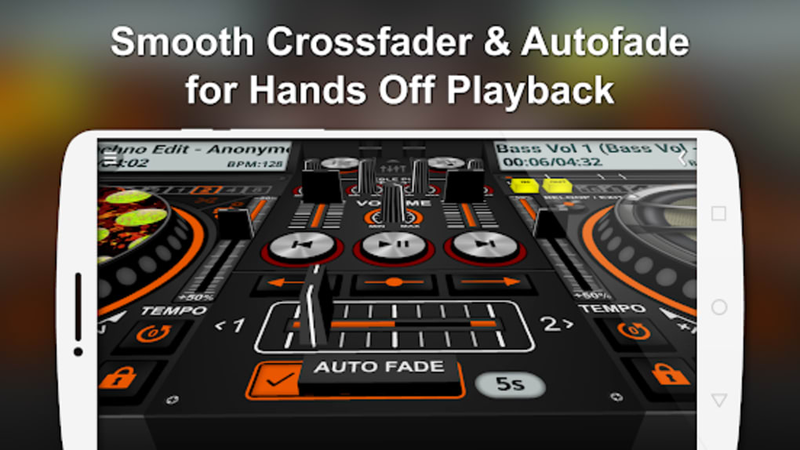 The Automatic Crossfade or Autofade can be toggled on or off, at the same time its timing can be adjusted. The Button click fade is similar to autofade on clicking the buttons. Users have the option of manually shift slide any songs through crossfader. The mixer has every option like equalizer, volume controls, and playlist management. 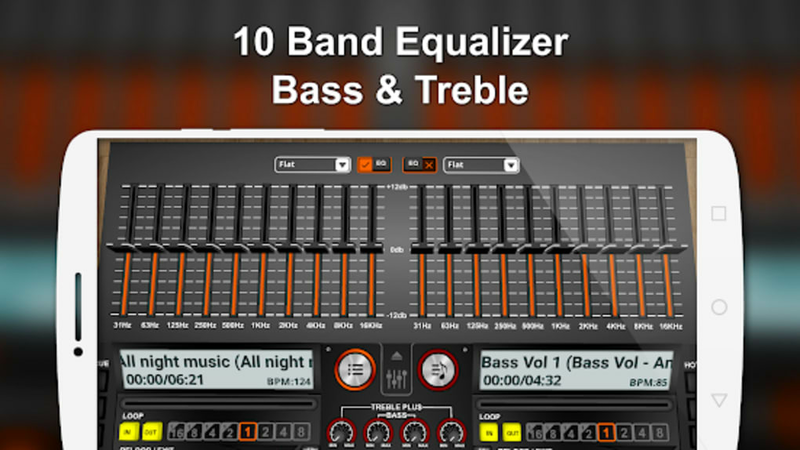 The Equalizer has multiple band settings with precise controls while covering most song genres. The Sampler Addon has 4 sets of audio clips and each of them has 6 individual samples with 3 play modes. Users can select Cut Play, Loop and Stop. They can also make song arrangements while reviewing them by pre-cueing, pre-listening and Split Audio Output. The Loop button has extra modes through In/Out, Reloop/Exit and Seconds. The play function has subcategories like Shuffle, Play All and Play Single. Other available buttons are Pitch Slider, Sound Effects, Low & High Pass Filter, BPM adjustment, Cues, and 4 Hot Cues. The application allows recording of any remixes done for later playback. 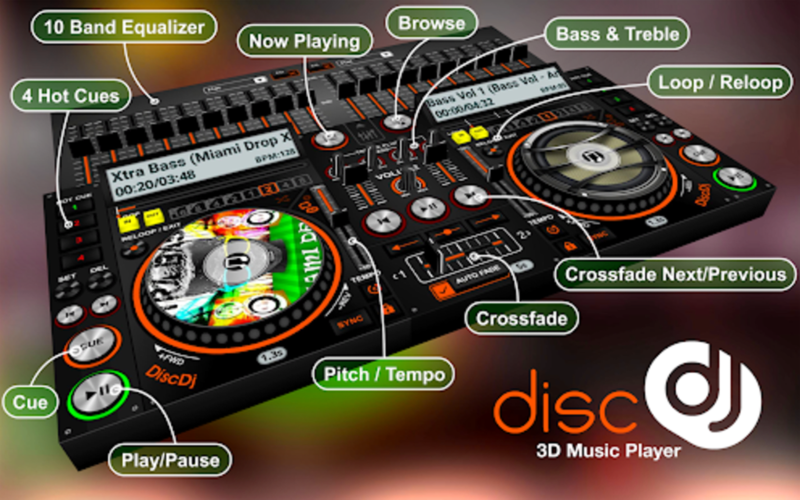 DiscDj 3D Music Player - 3D Dj Music Mixer Studio makes remixing available for everyone. There is no need to have a physical DJ mixer instrument. Anyone can practice by themselves or even perform on fun occasions. 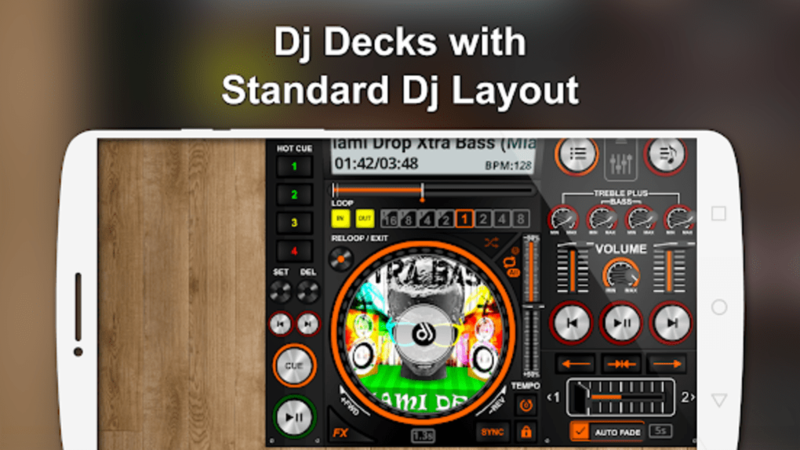 What do you think about DiscDj 3D Music Player Dj Mixer? Do you recommend it? Why?